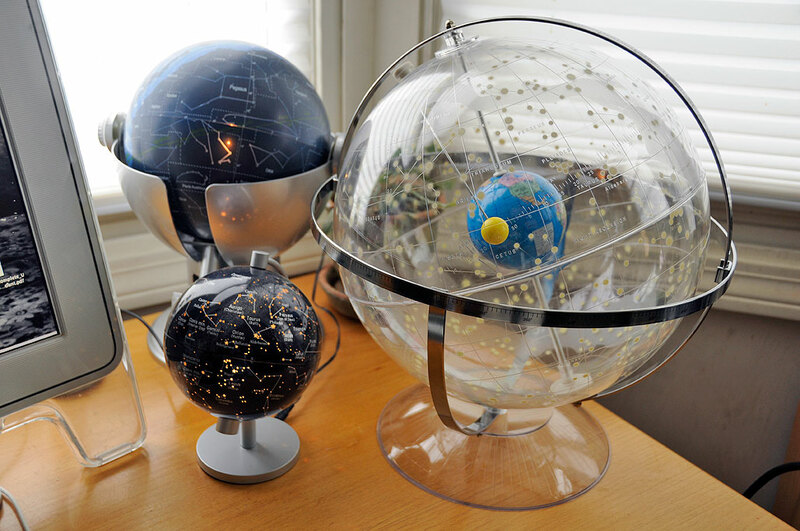 Celestial globes have been the means by which astronomers charted the heavens since ancient times. The first recorded solar eclipse was made by the Chinese in 2136 BC. Chinese observatories were built which date back hundreds of years prior to that. The oldest surviving celestial globe (1144 AD) is from the Islamic world and is currently in the Louvre. Today, we have iPad apps like Vito Technolog’s Star Walk and Emerald Sequoia’s Observatory to give us precise positions of all the heavenly bodies. Those apps not only tell us what is up in the sky now, but how things appeared or may appear at any point in time. Still, there is nothing like a celestial globe to give one the overall perspective of the heavens. We have looked at a few of these globes (iOptron LiveStar, Stellanova) in the past. They are good for some things, not so good for others. They show the relationship of the various constellations, but it is difficult to see how they relate to the Earth and the Sun. 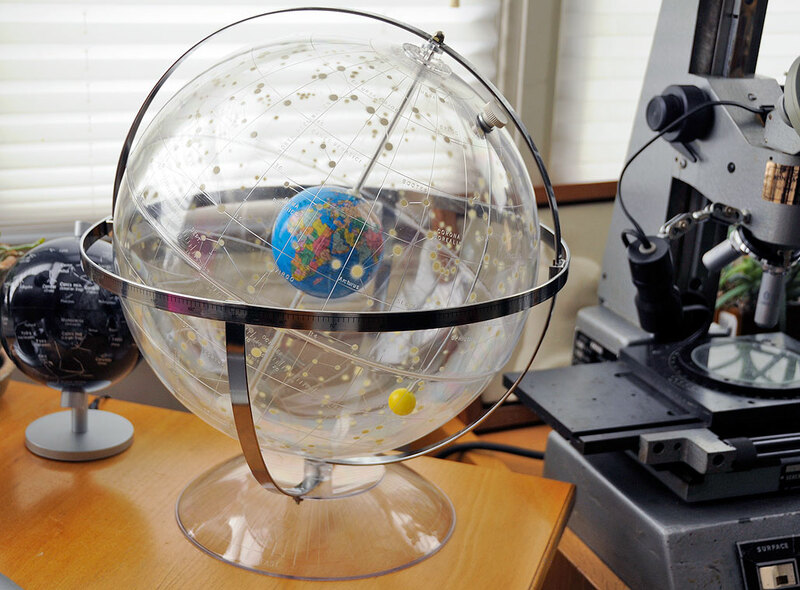 The Transparent Celestial Globe from Hubbard Scientific, however, makes it possible to do just that. The Celestial Globe assembly is a 12-inch diameter transparent sphere surrounding a 4-inch diameter Earth globe mounted on a full azimuth and meridian base. The star sphere, terrestrial globe, and Sun may all be moved independently. The scales(ecliptic, ascension, declination) are clearly marked (degrees, hours) so that a star may easily be located on the sphere. The markings are actually printed on the inside of the clear sphere so they cannot be rubbed off with use. The globe is not just beautiful to look at, it is also an excellent tool for learning about the stars in a visual and three-dimensional way. In the next write-up, we’ll show how to set it up for use, how to orient the globe at night to find constellations, and how to position it during the day for use as a sun dial. Look for the FirstUse review in the Fall!